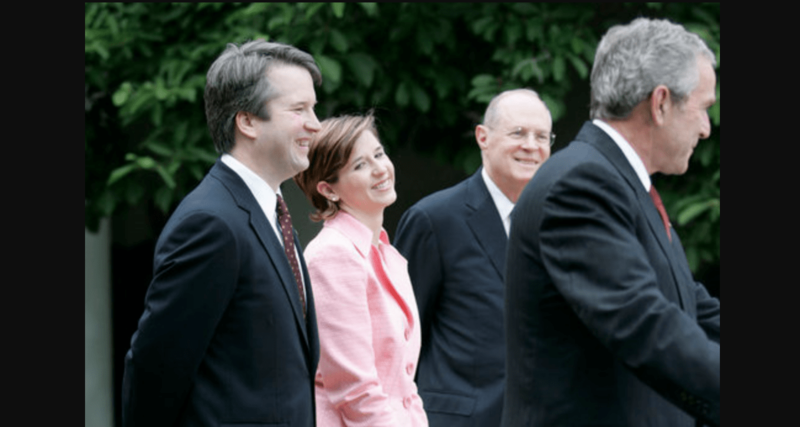 As President Trump’s Supreme Court nominee Brett Kavanaugh appears to be losing the support of the many women who previously signed a letter attesting to his integrity, Kavanaugh’s alleged sexual assault victim, Christine Blasey Ford, has receive a signed letter of endorsement herself. Over 200 female alumnae from Ford’s own highschool, Holton-Arms, have signed a letter of support attesting to Ford’s character and supporting the allegations she has made against Kavanaugh. We are alumnae of Holton-Arms School, and we are writing in support of Dr. Christine Blasey Ford, a fellow Holton graduate. We believe Dr. Blasey Ford and are grateful that she came forward to tell her story. It demands a thorough and independent investigation before the Senate can reasonably vote on Brett Kavanaugh’s nomination to a lifetime seat on the nation’s highest court. Dr. Blasey Ford’s experience is all too consistent with stories we heard and lived while attending Holton. Many of us are survivors ourselves. Holton’s motto teaches students to “find a way or make one.” We dream of making a world where women are free from harassment, assault and sexual violence. We hold deep gratitude to Dr. Blasey Ford for bravely stepping forward and bringing us closer to that world we all seek.